The objective of Kishori Vikas is to educate and create awareness among adolescent girls in areas of gender awareness, menstrual health and hygiene, nutrition and other social issues. 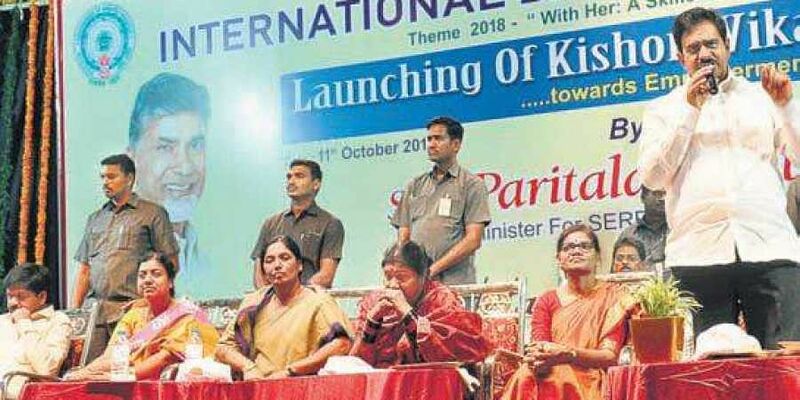 VIJAYAWADA: Women Development and Child Welfare (WDCW) department of Andhra Pradesh launched the second phase of Kishori Vikasam project here on Thursday. As a part of this project, officials have roped in thousands of young girls as ‘peer group resource persons’ to educate abandoned and rescued girls from across the State.The first phase of this programme was launched by the government in 2017 and awareness programmes for adolescent girls were conducted. The objective of Kishori Vikas is to educate and create awareness among adolescent girls in areas of gender awareness, menstrual health and hygiene, nutrition, social issues like child marriages, child abuse, child trafficking, and career.